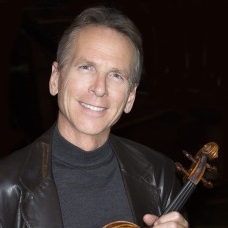 Clayton Haslop is one of the greatest violinists from Los Angeles. As a teenager he was invited by Sir Neville Marriner to join the Chamber Orchestra of Los Angeles. He played on more than 1,000 movie original movie and was concertmaster of numerous orchestras. He also built several recognized ensembles as the Los Angeles Piano Quartet and the New Hollywood String Quartet.